Douglas Emmett sued for recovery of the premises, for the Lease to be terminated before its term expired, for unpaid rent, common area maintenance charges, and litigation costs. Douglas Emmett sued for recovery of the premises, for the Lease to be ended before its term expired, for unpaid rent, attorneys' fees and court costs. Case was concluded with a judgment by the court. Tenant (where different from case parties): Federal Inventory Corporation, Inc.
Douglas Emmett sued for recovery of the premises, unpaid rent and rental damages, termination of the lease before its term expired, and litigation costs. Case was dismissed following a request for dismissal filed by Douglas Emmett's attorney. Douglas Emmett sued for unpaid rent and rental damages, unpaid common area maintenance fees and associated damages, and for litigation costs. 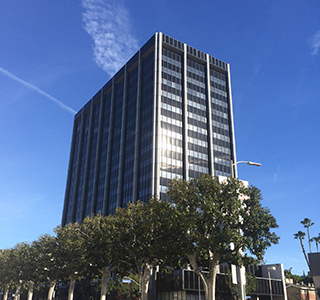 Lease Agreement Between Douglas Emmett Realty Fund 1998 and Federal Inventory Corporation, Inc.
15760 Ventura Blvd, suite A-007: Douglas Emmett Realty Fund 1998 - Federal Inventory Corporation, Inc.